I've spent far too many hours searching for a good SQL editor. Having used a wide variety ranging from MSSQL Server, MySQL Workbench, PhpMyAdmin and just rolling everything from the command line, I had practically given up on finding something that I thought would make me more efficient. The good news is that Sequel Pro just about the best piece of database management software I've ever found on any platform, and it's free! The UI is spectacular and everything is just so easy... I can now throw together a database, edit, add keys delete tables and do just about everything in a few seconds/minutes. 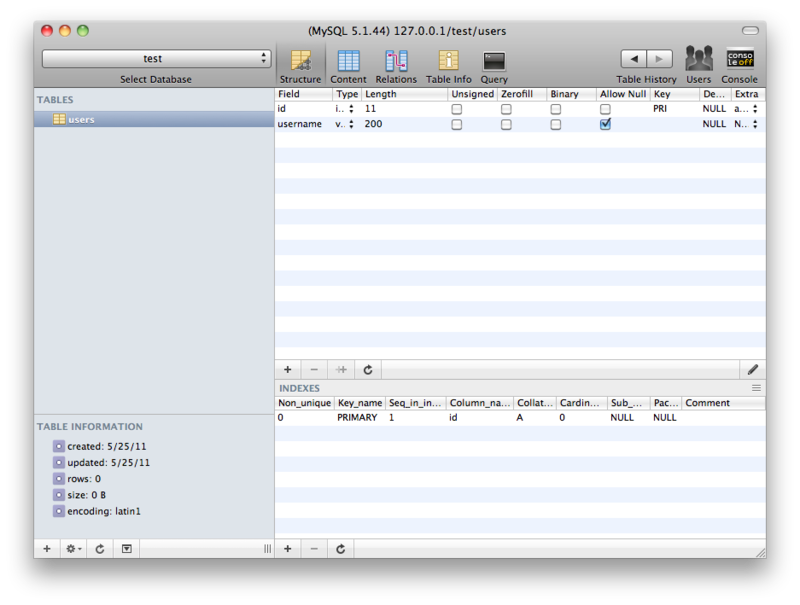 Seriously, if you have a Mac and you do any sort of database work, this is the software you want to be using. One other great thing is that if you're working in an environment where you need to take all your queries and save them as you make them, Sequel Pro keeps a detailed log of all queries that its running so you can add it to your migration file if you're keeping one. Seriously awesome! I was saddened that I didn't know about this software sooner, so that's why I'm sharing with you right now (apparently it's been around for years)! Do you know of any other hidden gems for development purposes hiding away on the Mac?